Guild Hall builds on Vashon Island and throughout the Seattle area. The firm is experienced in addressing the unique issues that arise when developing rural property. 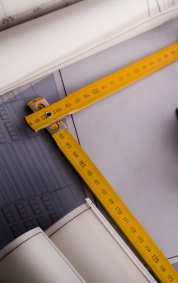 During pre-construction planning, we can consult with you and your designer to map out the best plan to build or remodel your home. Teaming with a builder to review designs before you build will help identify cost savings or potential problems. Our experts take into consideration the availability of water and septic, drainage, and site conditions like steep slopes, ravines and wetlands. Confused about permits needed? Guild Hall has the expertise to navigate the complicated permitting process of rural island properties and will be your liaison to King County officials. Guild Hall takes a comprehensive and holistic approach to analyzing the exisiting systems in your home. We know the best materials and strategies to improve the health of your living environment and enhance your home’s value and life span.